Since the 1980s, the Kelabit and Penan of the Upper Limpang have been actively protesting the destruction of their ancestral lands. Dating back to independence in 1963, the economic agenda of the Sarawak government has been the exploitation of its natural resources. Forest communities have been denied the rights to their traditional lands. Up to 90% of the primary forest has been lost due to unsustainable logging practices. To date, the Kelabit and Penan communities on the Meriit River have been able to protect a tiny portion - 18 square kilometres - of their traditional lands from logging. 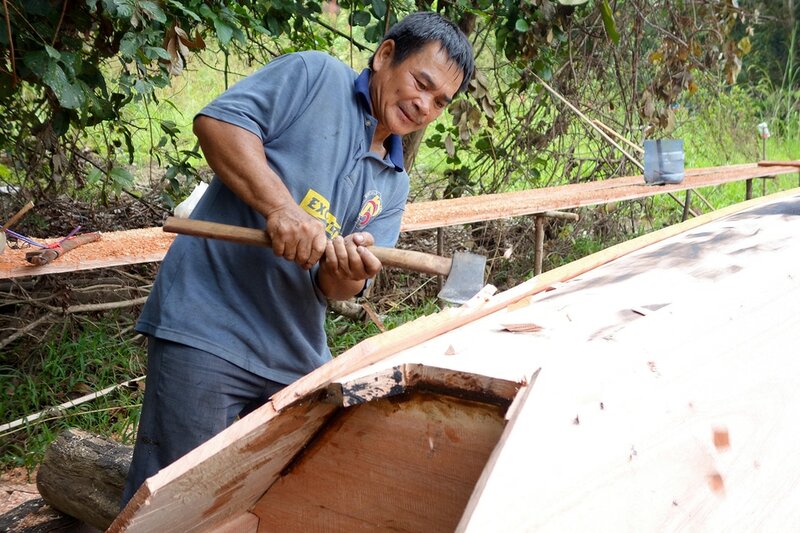 However illegal logging activities continue, and these communities are now faced with the expansion of an existing plantation to the north, and by market hunters from the coast, who have access to their ancestral lands via logging roads. The creation of the Limbang Community-Based Conservation Corridor would provide a protected area of approximately 500 square kilometres for community-based conservation and development.